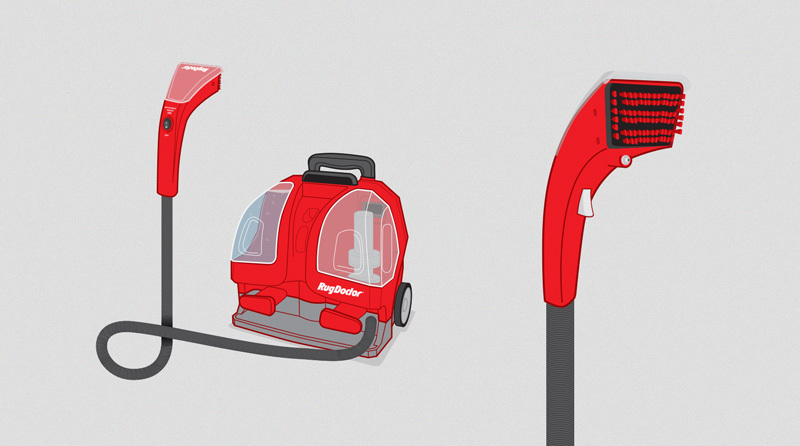 Rug Doctor makes professional-grade carpet shampooers for the consumer market. 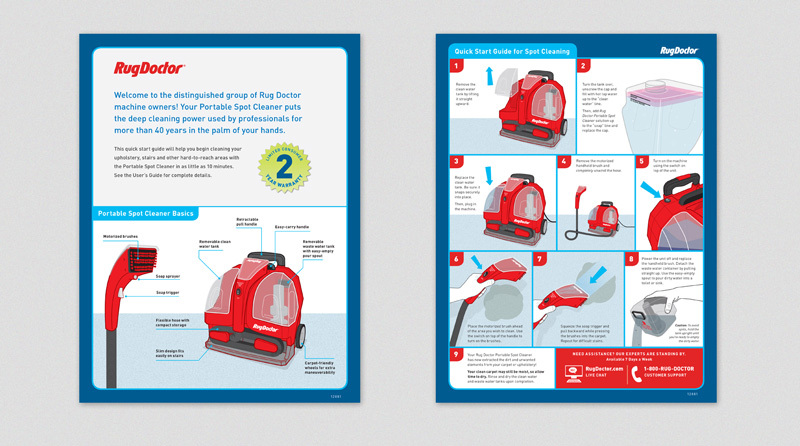 Drew Kora LLC was engaged to design “quick start” guides for Rug Doctor's Mighty Pro X3 and Portable Spot Cleaner. 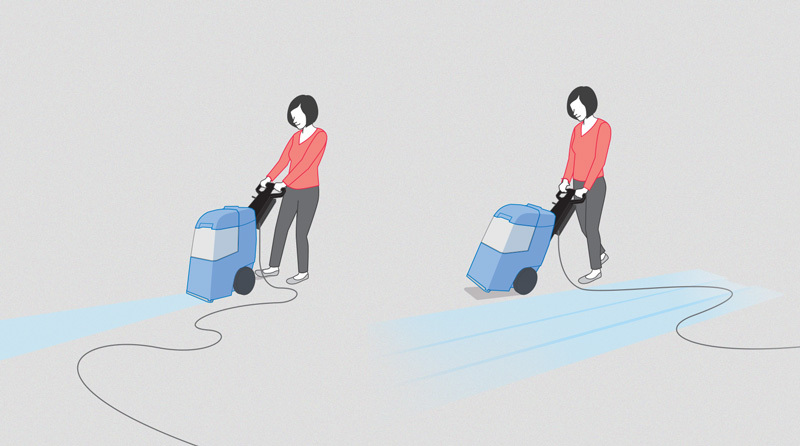 The goal was to help users start cleaning their carpets within 10 minutes of opening the box. 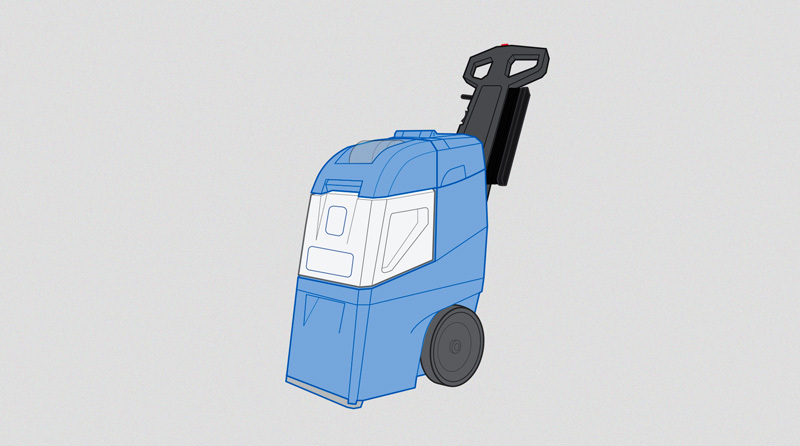 DKLLC worked extensively with each machine to devise the most concise and easy-to understand steps. 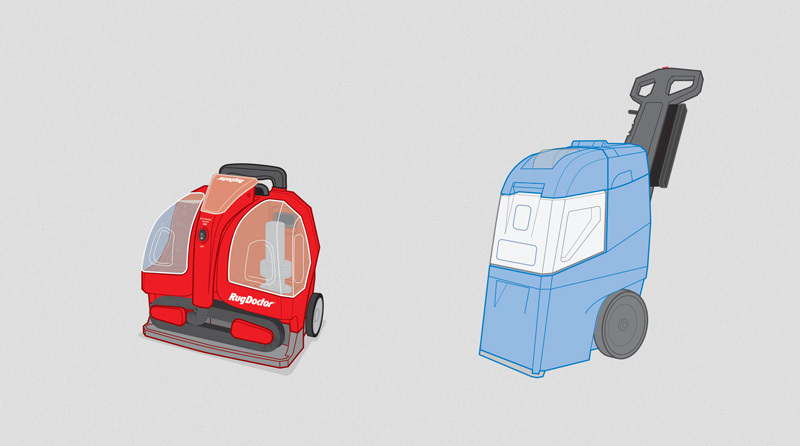 Illustrations were used to amplify the specific machine parts without undue clutter. 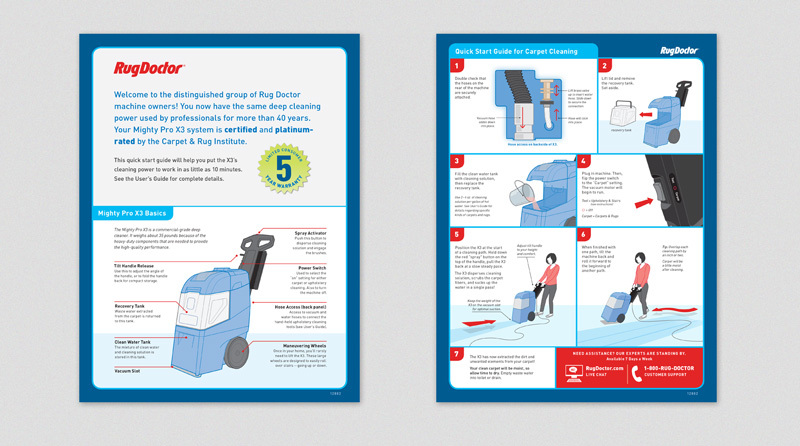 These quick start guides are shipping with all units sold at Costco Wholesale warehouses across the USA. 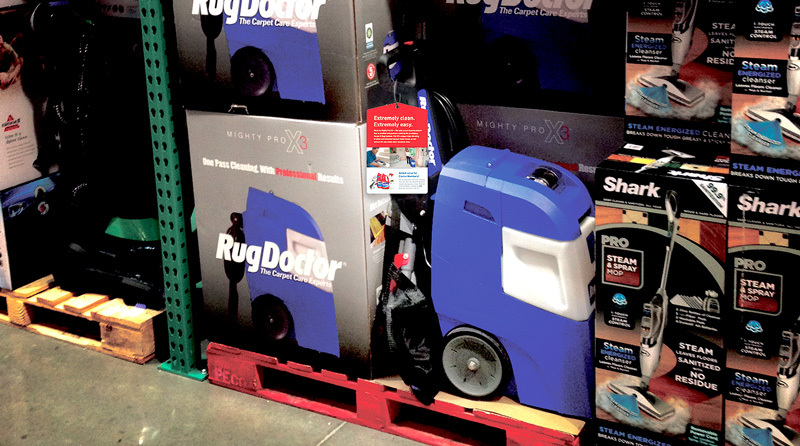 DKLLC was asked to find a durable P-O-P solution for the X3 display units at Costco Wholesale warehouses. We researched many printing methods and materials (e.g. 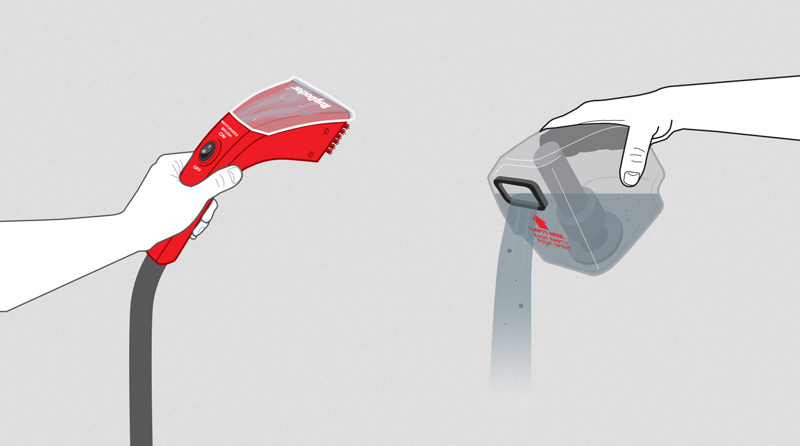 stickers, tags, etc.). 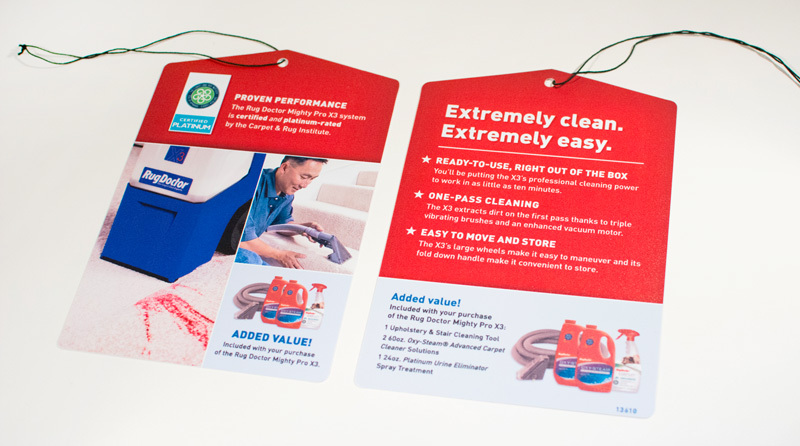 The best solution was a printed plastic hang tag attached with an elastic cord. 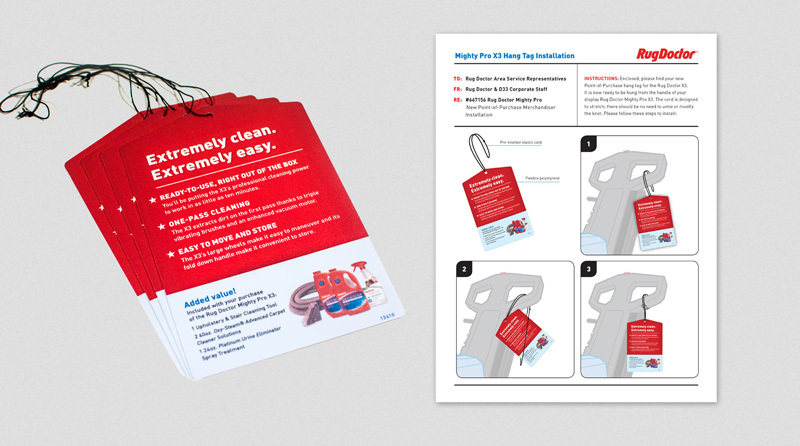 DKLLC designed the tag, managed the production and, to ensure uniformity, designed an instruction sheet that showed Costco merchandise managers a uniform way to attach it to the machine.